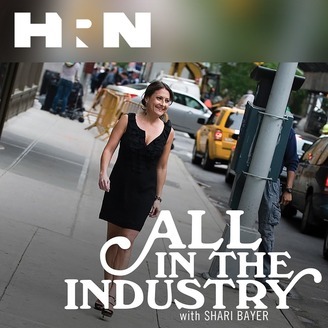 Hosted by Shari Bayer of Bayer Public Relations, “All in the Industry" is a show dedicated to the behind-the-scenes talents in the hospitality industry. Each week, Shari invites experienced and dedicated restaurant/hospitality professionals to share their story and expertise. Shari also tips off each episode with a PR tip, features a speed round game, industry news discussion, solo dining experience, and the final question, wherein Shari asks for a question from the current guest to the next, tying the series together. Tune in Wednesdays at 4PM ET. On today's episode of All in the Industry®, host Shari Bayer is joined by Hunter Lewis, the Editor-in-Chief of Food & Wine. Prior to that he was the editor-in-chief of Cooking Light, executive editor of Southern Living, food editor of Bon Appétit, and kitchen director of Saveur. He cooked under Jonathan Waxman in Sonoma County, California, and at Barbuto in New York City. A graduate of the University of North Carolina at Chapel Hill, Hunter was also a reporter at The Herald-Sun in Durham, North Carolina. You can find him in his home kitchen in Birmingham, Alabama, cooking for his family, or on Instagram and Twitter @notesfromacook. Today's show also features Shari's PR tip, and Solo Dining experience at Charleston in Baltimore, Maryland. Listen at Heritage Radio Network; subscribe/rate/review our show at iTunes, Stitcher or Spotify. Follow us @allindustry. Thanks for being a part of All in the Industry®! Photo courtesy of Hunter Lewis.